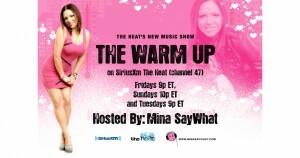 The Warm Up is SiriusXm The Heat’s new music show. Mina SayWhat created the show in 2009 and also produced and hosted it for 3 years. On the show, Mina picked the new music that played and interviewed new, as well as established, artists. 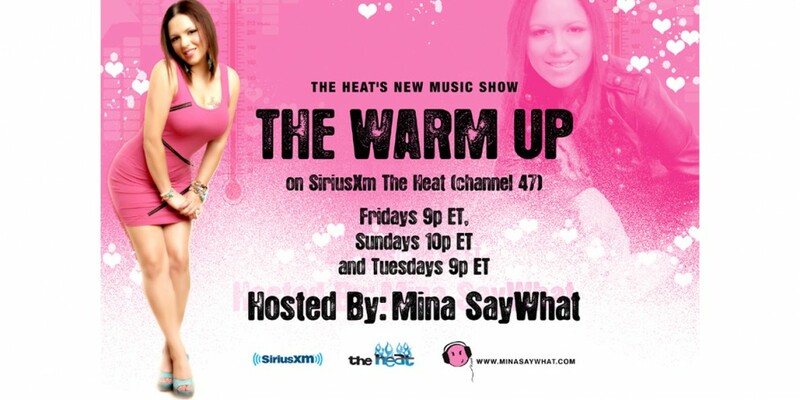 Some artists who had been on the show are Elle Varner, B.o.B., Tyga, Bei Maejor, Miguel, Bridget Kelly, Kreayshawn, Diggy, Verse Simmonds, Akon, Young Jeezy, Bow Wow, Jeremih, Lloyd, J. Cole, Melanie Fiona and many more. Mina was the first to play Miguels Grammy Winning song “Adorn” on the radio before anyone else and did Elle Varner’s first radio interview.